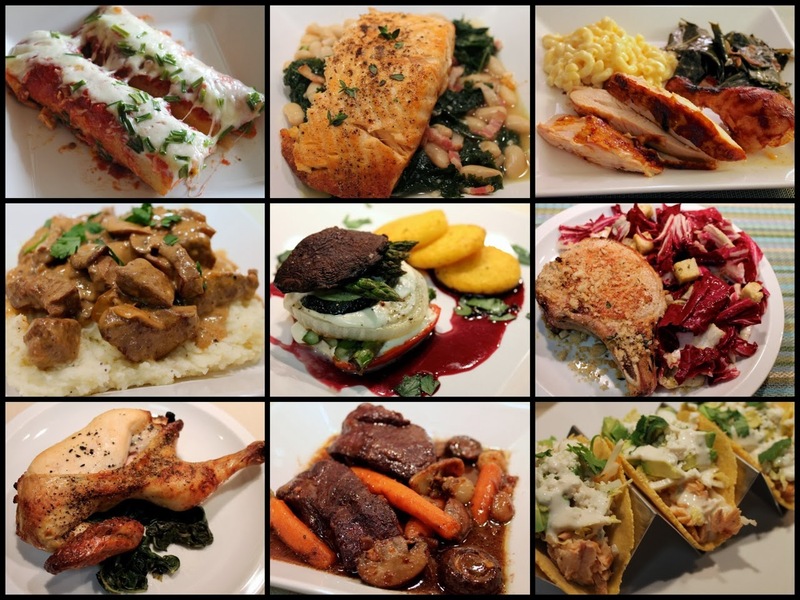 What inspires your cooking? For me, inspiration comes from a number of sources, from the more expected places like memorable restaurant meals and classic recipes that can use an update, to the more unusual, like a chapter in a novel where a character makes lentil stew. 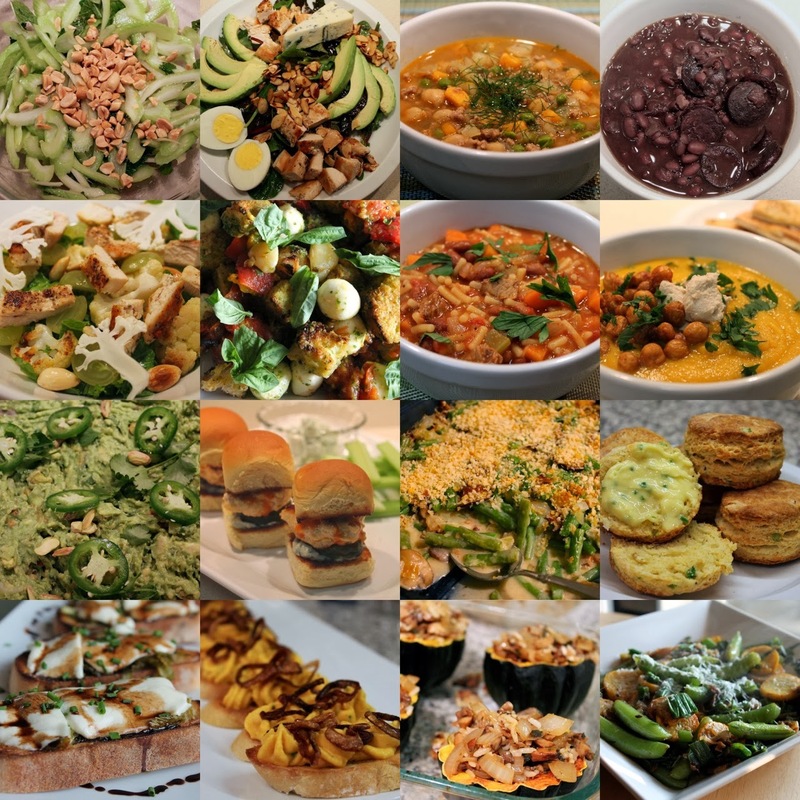 This year's best salads, soups, starters and sides drew from a mix of inspirations, chasing the seasons as a way to showcase fresh and interesting ingredients. Proving the old adage that simple is best, my favorite salad this year was a Celery and Peanut Salad inspired by the age-old snack of celery with peanut butter. The recipe was a hit with readers (especially my mother) and even got in a mention in the (now sadly discontinued) New York Times Diner's Journal. Another simple but delicious salad: Sliced Fresh Tomato Salad, dressed lightly with olive oil, lemon and lemon basil. I frequently drew inspiration from restaurants to create interesting seasonal salads. The fresh takes on Caesar salads from Palena and Graffiato were the inspiration for this Caesar Salad Update. 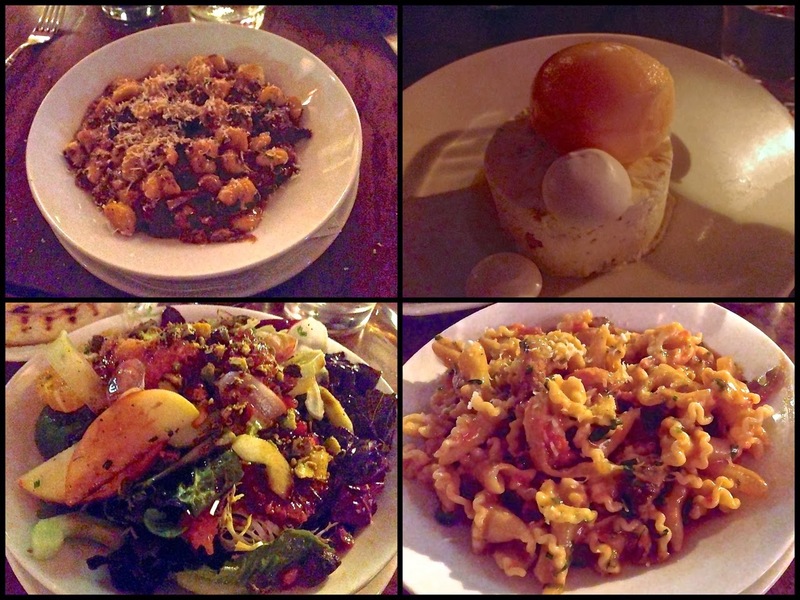 The Mustard Greens Salad with Roasted Cauliflower, Almonds, Grapes and Chicken was inspired by starter from The NoMad. Agave-Mezcal Chicken and Curry Roasted Cauliflower Salad was inspired by one of the monthly seasonal salads at Sweetgreen. And Buck's Fishing and Camping's wonderful homemade cottage cheese and beet starter was behind this Roasted Beet and Cottage Cheese Salad. Broiled Peach Salad with Watercress, Sugar Snap Peas and Toasted Hazelnuts was inspired by a rejuvenating lunch we enjoyed at Eataly as a respite from the oppressive summer heat. 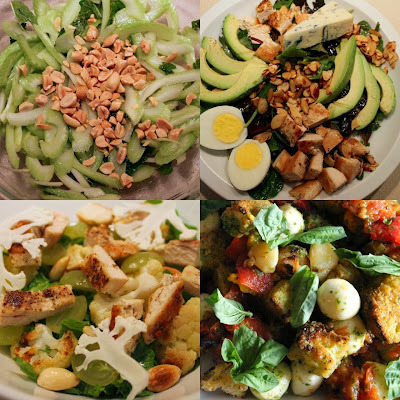 Several classic restaurant salads became quick favorites this year. Early in the year, I discovered the Canlis Salad made zesty lemon dressing and copious fresh mint contrasting with the rich, and the Nostrana Salad with bitter radicchio; both also feature buttery herb croutons. In March, a project to update a series of classic dishes yielded three great salad recipes: A Cobb Salad with fresher ingredients, a healthier take on Wilted Spinach and Bacon Salad and a Smoky Waldorf Salad. In the winter, kale, still the most popular of the hearty greens, is great for salads. I gave it the crispy treatment in this Crispy Kale and Roasted Chickpea Salad. For hummus lovers, I deconstructed (or rather "reconstructed") popular ways of serving the dip into a salad, Reconstructed Hummus Salad. Once summer comes, we're all about the tomato panzanella, and I loved this Roasted Tomato Panzanella adapted from a recipe by Little Ferraro Kitchen. The most incredible soup I had this year, in fact one of the best things I ate period this year, was Smoky Pinto Bean, Red Wine and Bacon Soup, a recipe from New York Times writer Melissa Clark. I'm looking forward to making it again this winter. 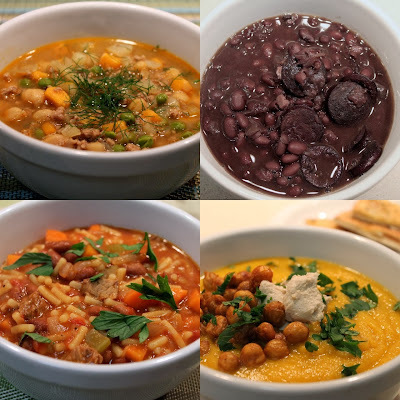 Beans or legumes showed up in several other great soups. Sadly, the food world lost Italian cook Marcella Hazan this year, who will be remembered for her wonderfully flavorful recipes, like Pasta e Fagioli (Pasta and Bean) Soup. This Basic Black Bean Soup was inspired by the classic Silver Palate recipe. And the novel Life Among Giants was the inspiration for this Lentil Stew. Parsnip-Carrot Soup with Tahini and Roasted Chickpeas adapted from a Smitten Kitchen recipe. Cold Chickpea-Tahini Soup from a Mark Bittman recipe. I also turned out a whole week of chili recipes, including our favorite BBQ Turkey-Bean Chili Stew and this Thai-inspired Chili. Earlier in the year, I made this Moroccan(ish) Spring Stew, which is sort of like an African riff on my turkey chili. Trend-watchers may enjoy my Chicken Miso Ramen inspired by the current ramen craze. And of course there's kale: Sausage, Kale and White Bean Soup. Warm or cold, Sweet Corn and Carrot Soup is great for late summer. But when it is cold, Smoky Butternut Squash and Apple Soup hits the spot. Caramelized Celery Crostini was my favorite appetizer this year. After caramelizing so many onions, I decided to try a similar technique with celery, which seemed perfect for a summer crostini. Later, I offered another crostini for Thanksgiving, Butternut Squash and Goat Cheese Crostini with Crispy Shallots. 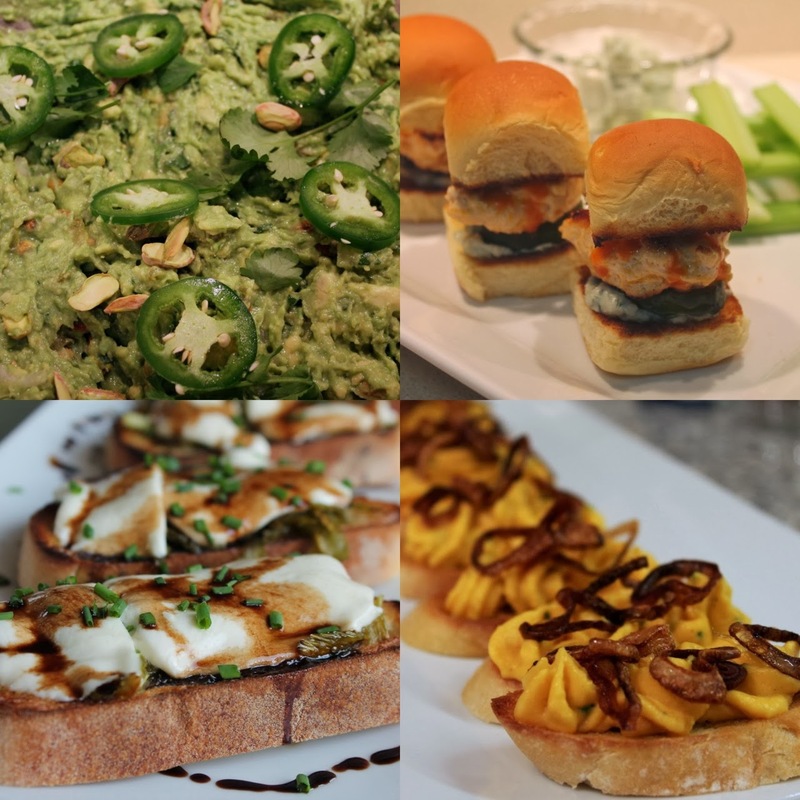 Dips are a great way to feed a crowd. A mix of pickled and fresh jalapeños and roasted pistachios added extra fire and crunch respectively to Spicy Pistachio Guacamole, inspired by the dip we enjoyed a Chef Alex Suptak's Empellon Cocina. And if you love hummus, this Smoky Smooth Hummus, is a must. Buffalo chicken wings reimagined as mini-burgers was the inspiration for Buffalo Chicken Sliders, which are great for sporting events. The side dish that most enchanted me this year was Bon Appetit's recipe for Perfect White Rice, which will allow me to say "goodbye" to soggy white rice for good. 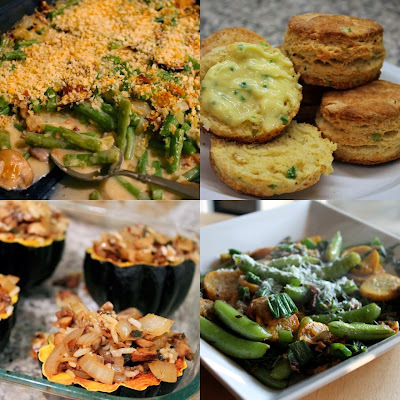 Side dishes are a great way to highlight seasonal produce. In the spring, I enjoyed these simple and refreshing dishes of Fava Beans with Shallots, Mint and Pecorino and Smokey-Sweet Braised Dandelion Greens. Come summer, Sauteed Summer Squash and Sugar Snap Pea Medley made great use of two farmers market summer staples. For the fall, I transformed applesauce from baby-food puree into something more fitting for grown-ups, Applesauce with Bacon, Caramelized Onion, Maple and Walnuts. I also enjoyed this Stuffed Acorn Squash. Thanksgiving is the year's best occasion for side dishes, like Cheesy Scallion-Corn Biscuits with Homemade Compound Butter, this Bon Appétit recipe for Roasted Sweet Potatoes with Bourbon-Maple Glaze and Smoked Almonds and my Fresh Take on Green Bean Casserole. Lastly, a vegetarian Middle Eastern dinner was the occasion to make both Baba Ghanoush and Quinoa Tabbouleh. 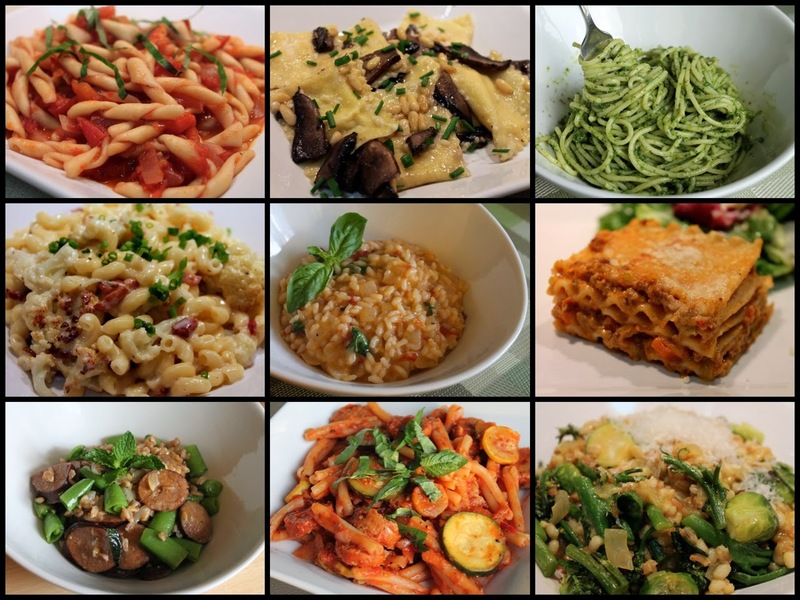 Delicious classic sides. The Spring in a Glass cocktail was marked by herbal freshness appropriate to the season. In the winter, I turned to dark spirits like whiskey and bold flavors from Italian amari, nut liqueurs and grapefruit. The Rye in January is an elegant rye drink with the herbal-cinnamon Czech liqueur Becherovka, grapefruit and Italian Cynar. Enchanted by the idea of a winter forest, The Woodsman combines smoked whiskey with walnut liqueur, sweet vermouth and a homemade rosemary-brown sugar syrup. 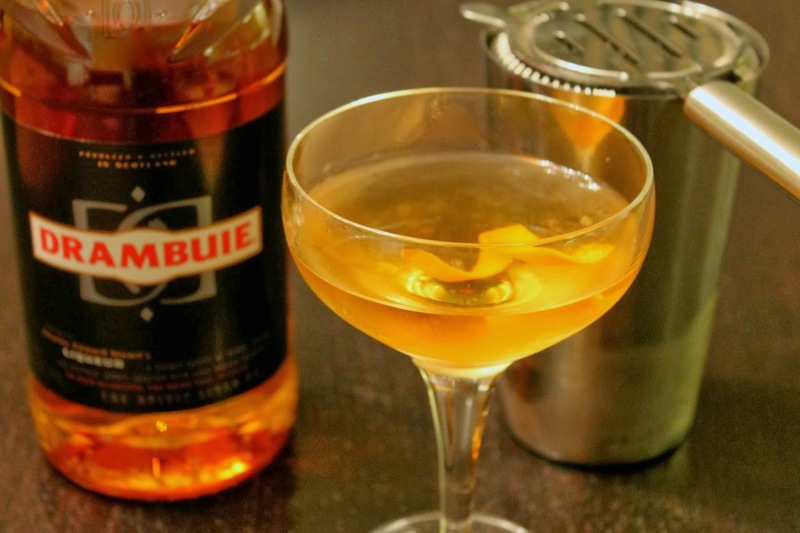 I featured a pair of classic Drambuie cocktails perfect for winter: a '70s-era Prince Edward and locally sourced Tabard cocktail (named after D.C.'s Tabard Inn). For a guilty indulgence, I made The Siberian, a vodka and Kahlua milkshake. As the weather warms in spring, I was inspired by brighter flavors like herbs and citrus, even vegetables. Spring in Glass combined mint, cucumber and fennel, the latter coming from D.C.-based Don Ciccio & Figli's Finocchietto, a fennel liqueur. 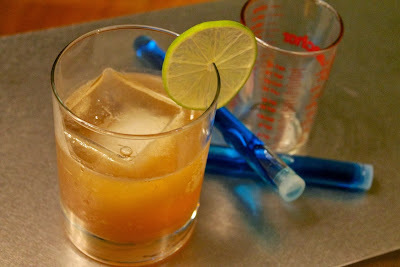 For Cinco de Mayo, I came up with the Margarita on Fire, a spicy/smoky concoction of mezcal, tequila and habanero shrub. I kicked off summer with a whole week of cocktails. 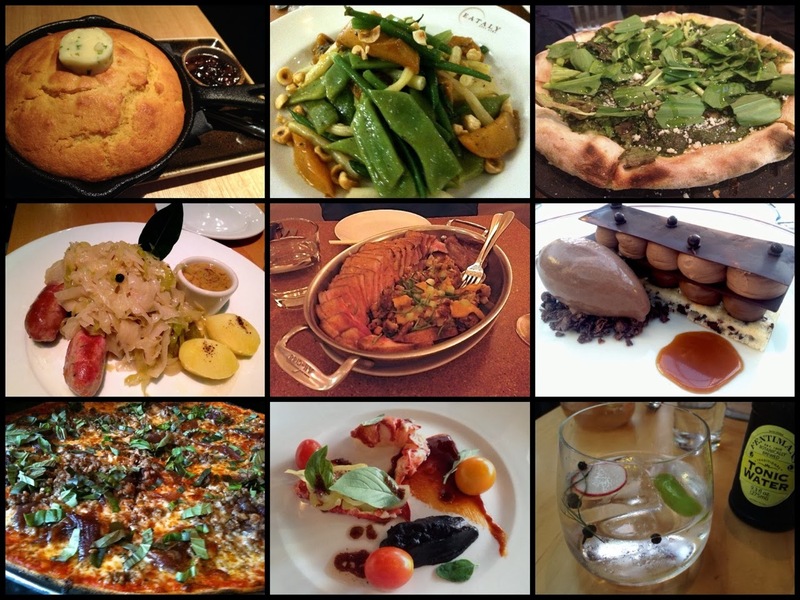 It included the Teagroni, a tea-based Negroni from Kevin Liu's Craft Cocktails at Home; a Summer Cosmopolitan with gin and fresh ingredients; and two smoky Mezcal cocktails that originated in New York's Mayahuel Mexican cocktail lounge. An experiment with cocktail foams resulted in the herbal Garden Martini. 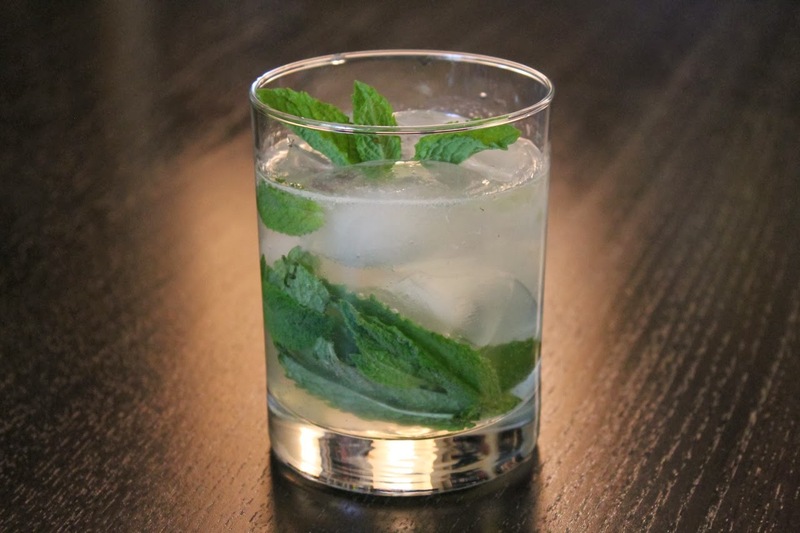 The flavors of Thai cooking were the inspiration for the Bangkok Breeze, featuring basil, rum, ginger and coconut. For my friends' wedding, I created a refreshing summer punch, The Lady Lawyer, with gin, mint and lemon. Fall finds drinks inspired by the harvest as well as the coming chill of winter. Roasted tomato simple syrup was the key ingredient in my Smokin' Hot Tomato, featuring mezcal, Grand Marnier and habanero shrub, and Tomato at Night, which included (legal) moonshine, Aperol and lemon. For Thanksgiving, I came up with the (Wild) Turkey and Cranberry, a potent and festive (aren't they the same, when you're talking cocktails?) mix of whiskey, Aperol and cranberry bitters. A trio of cocktails made good use of apple brandy, including Jeffrey Morgenthaler's Norwegian Wood and Washington Post cocktails columnist Carrie Allan's modernized Scotchem. Entertainment continued to be a rich source of inspiration for original drinks. Following last year's ever-popular Happy Endings-themed Whore's Bath, I created another cocktail for a departing show: The Heisenberg, consisting of whiskey, Becherovka, maple, lime and habanero. Dallas Decoder and I teamed up for another series of Dallas-themed drinks, including The Drew, a sophisticated mix of mezcal, Grand Marnier, Cynar, habanero and flamed orange peel, and The Judith, a rightfully bitter mix of gin, Chartreuse, grapefruit shrub and angostura bitters. The cocktail highlight of the year were my Oscar cocktails: a series of 10 drinks honoring the year's 9 Best Picture nominees plus a bonus drink for Skyfall, a twist on the classic James Bond martini that nods to elements of the film. 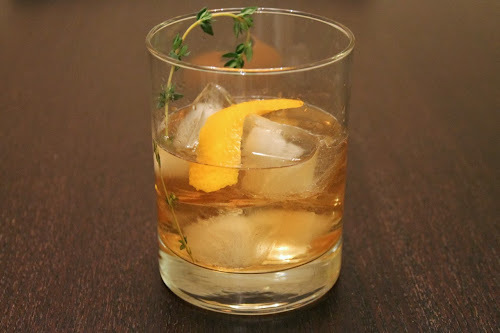 My favorite were the Life of Pi, which illustrates beautifully the bold visual style of the film, the Django Unchained, a fiery, irreverent take on Mint Julep, and The Argo, which represented the Best Picture winner with Canadian whiskey and Middle Eastern-inspired spiced syrup. The Last Word: a classic prohibition cocktail revived by a Seattle bartender. Early in the year, D.C. bartender Derek Brown wrote a piece for Table Matters arguing for bartenders to spend more time with classic drinks. 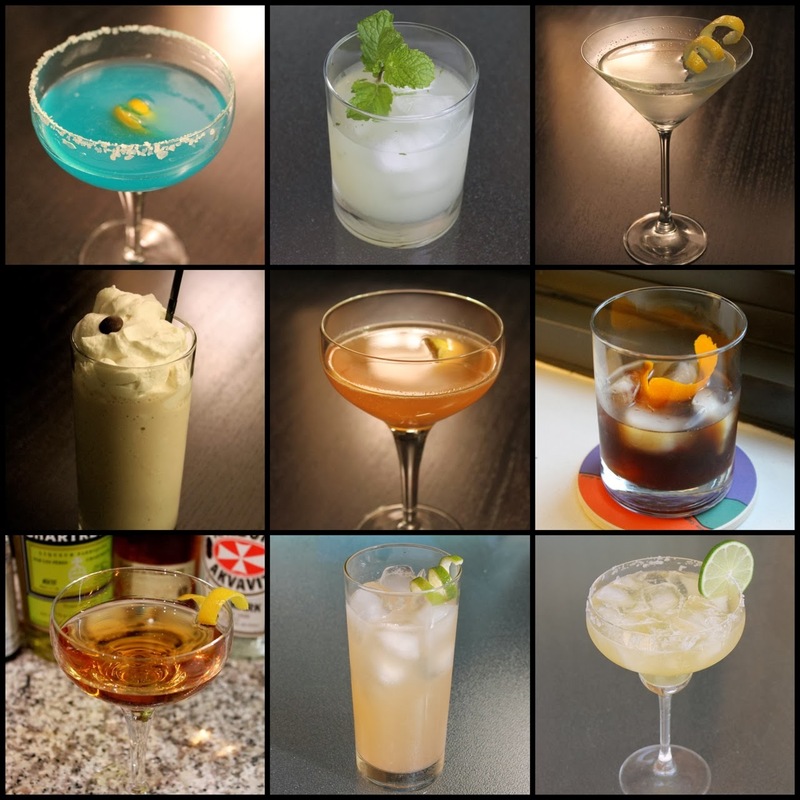 "For every cocktail you create, try learning nine classic cocktails first," he said. Although I didn't quite achieve that balance, I did make an effort to learn classic drinks, including their history. 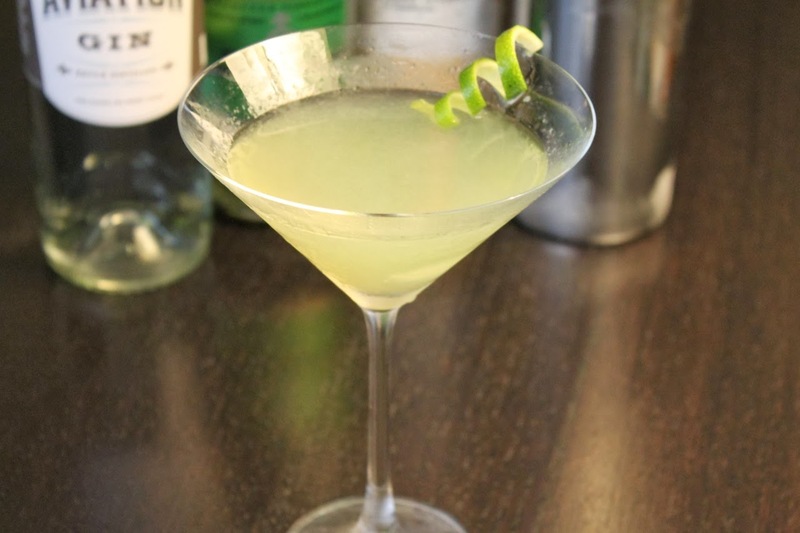 Take the Last Word, a gin and chartreuse cocktail from the prohibition era that made a comeback recently due to Seattle bartender Murray Stenson. Former Washington Post spirits columnist Jason Wilson honored D.C.'s signature cocktail, the Rickey, with his Nice Rickey. The Singapore Sling, an oft maligned cocktail, is actually rather good when made with quality, fresh ingredients. I also had fun making The Vesper, the classic James Bond vodka and gin martini. A few other classics everyone should try: Mojito, Mint Julep and Gin & Tonic, the latter of which gave me a chance to taste a number of American small-batch gins (plus drink a lot of G&Ts, my favorite cocktail). Coffee is such a great dessert flavor. It's often paired with chocolate, but I don't think it needs to be. It should stand on its own. Which is exactly what you get with this cake. It's not a "coffee cake" in the traditional sense--a spice cake with a crumb topping. No, this is an actual "coffee" cake. As in flavored with coffee. And the frosting is coffee too. 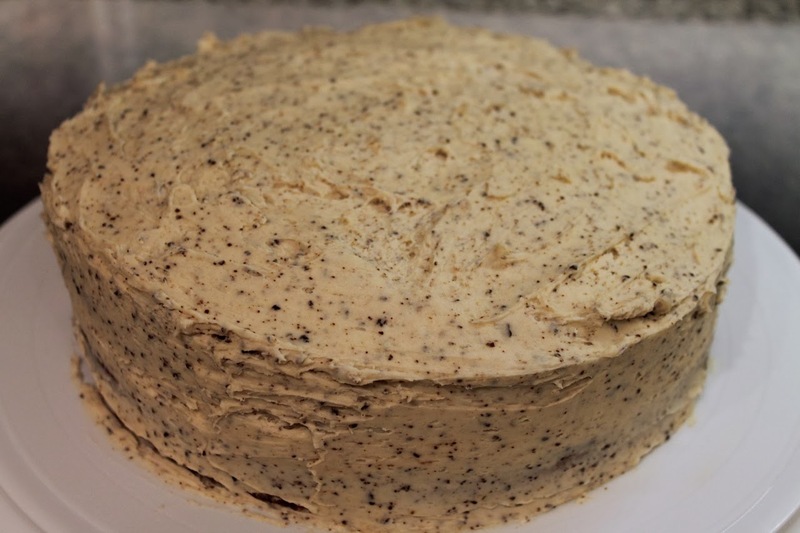 If you love your coffee with lots of sugar or if you're a fan of coffee ice cream, I think you'll like this cake too. 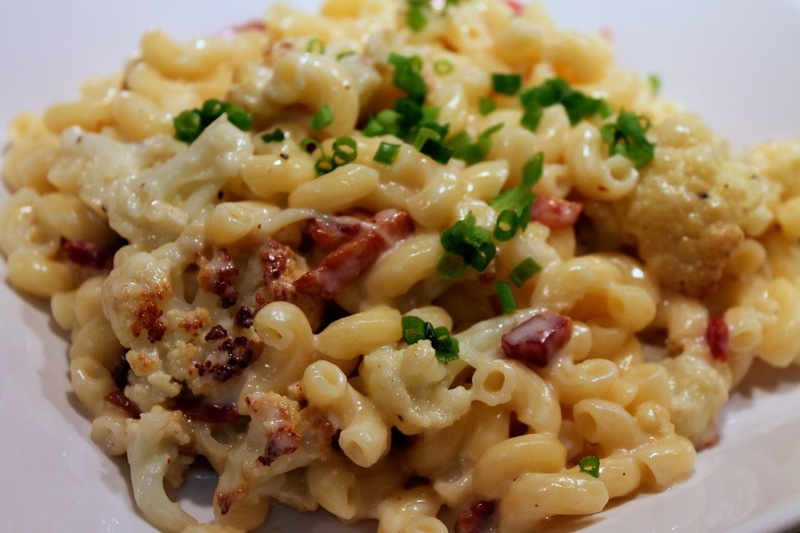 It's decadent and sure to give you a coffee buzz too. This is the first recipe I've made from Pioneer Woman writer Ree Drummond. I entered it in my office holiday dessert contest this year. Turns out I'm not the only coffee lover at work, as it took the top prize. 1. Preheat oven to 350 F. Grease two round cake pans. 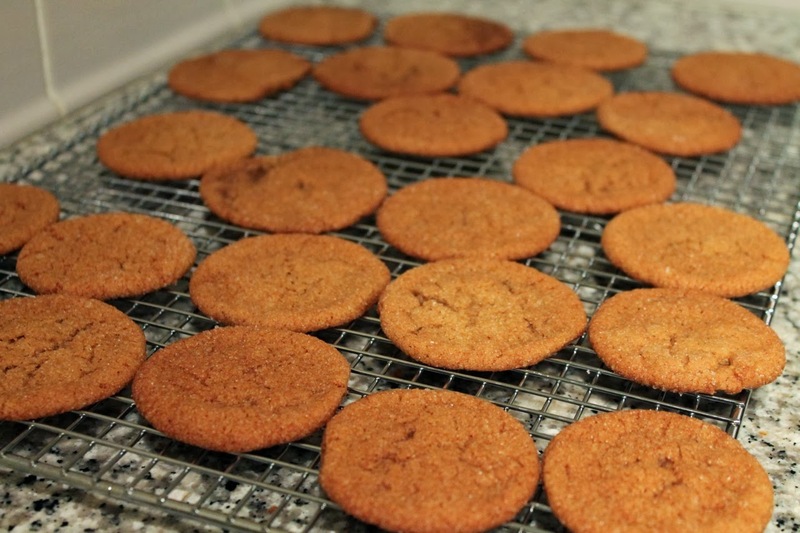 Place a round of parchment in the bottom of each pan. Grease the parchment then flour the parchment and sides of the pan. 3. 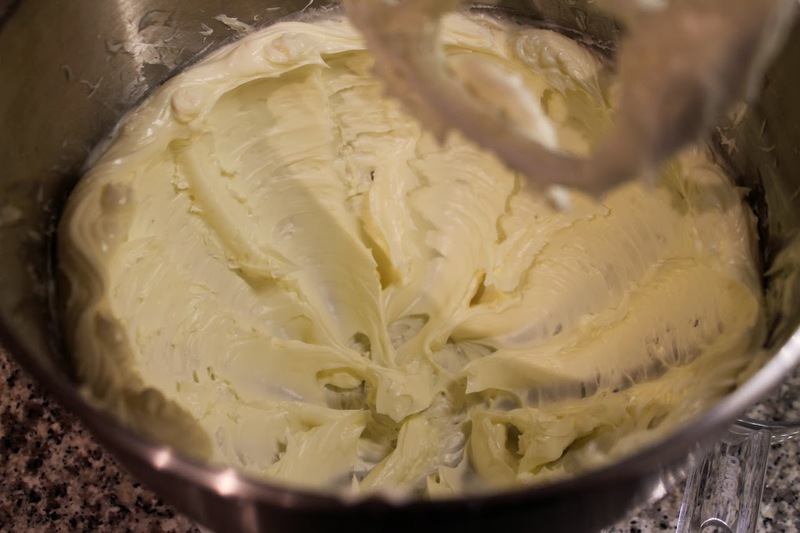 Melt two sticks of butter in a medium saucepan over medium-low heat. While the butter is melting, stir 3 tbsp. of instant coffee into 1 cup of boiling water. Once butter has melted, add the coffee. 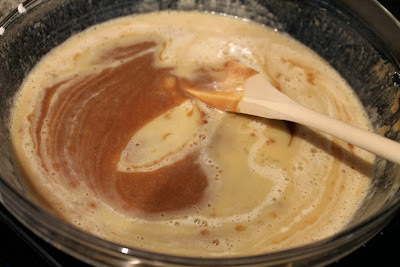 Let butter/coffee mixture boil for about 10 seconds, then turn off the heat and set aside. 4. 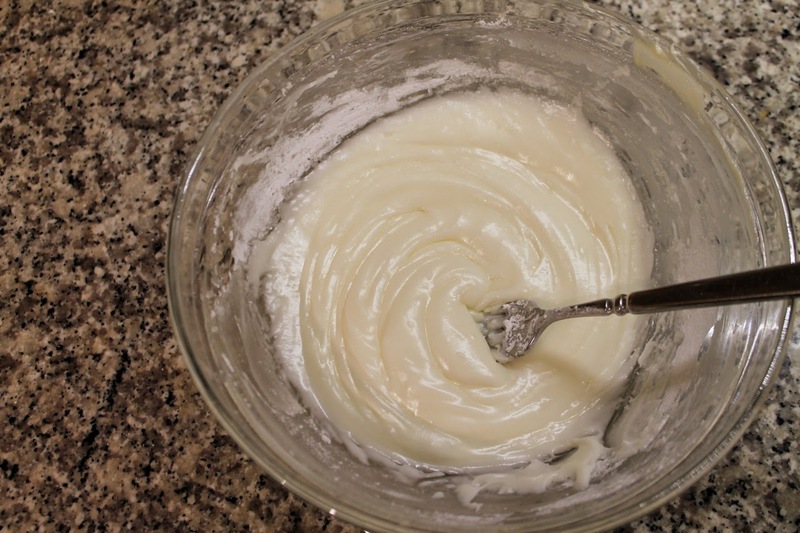 In another bowl, whisk together buttermilk, eggs, baking soda and vanilla. Pour the butter/coffee mixture into the flour mixture and stir until mostly combined. Add the buttermilk/egg mixture and stir until well combined. Divide the batter into the two cake makes and bake until set, about 29 to 31 minutes (note: original recipe called for a baking time of 20 to 22 minutes, but I found the cake needed significantly more time in the oven). 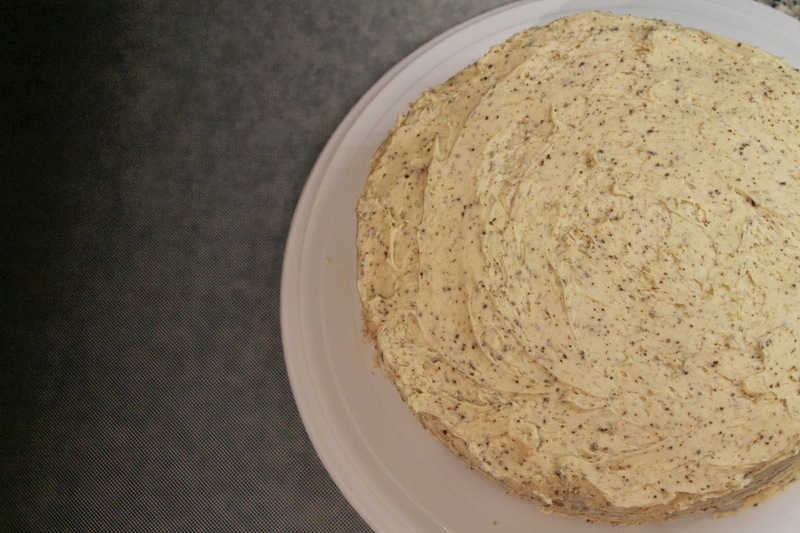 Allow cakes to cool completely before frosting. 1. 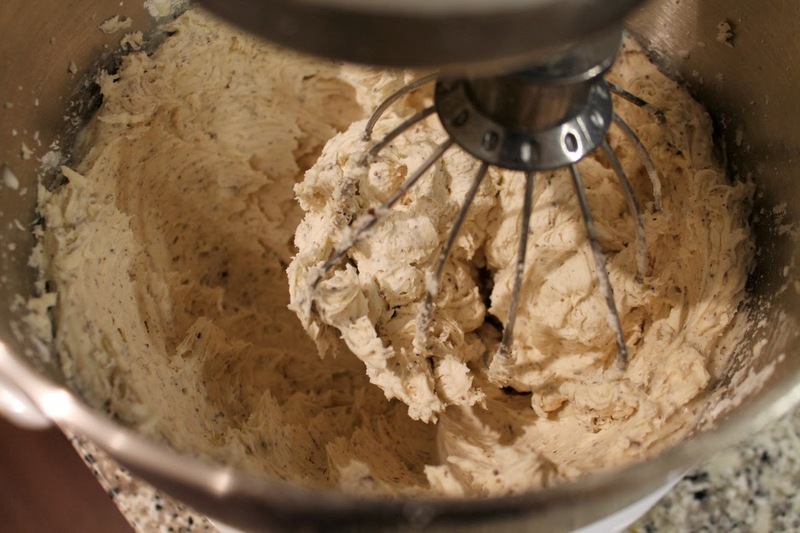 Add butter to the bowl of a stand mixer and beat on medium-high speed until lightly and fluffy, about 3 to 5 minutes. 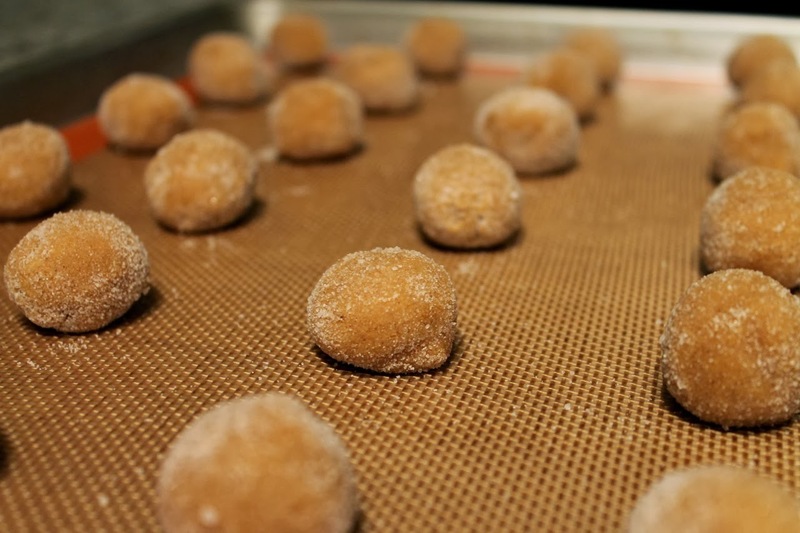 Add powdered sugar and beat to combine. 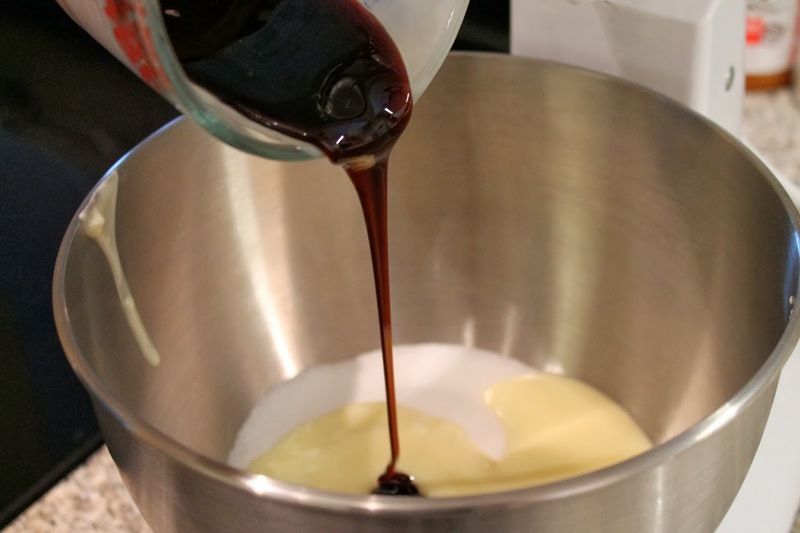 Add instant coffee, salt and cream and beat until combined and smooth. Place the first cake layer flat-side down on a cake plate. 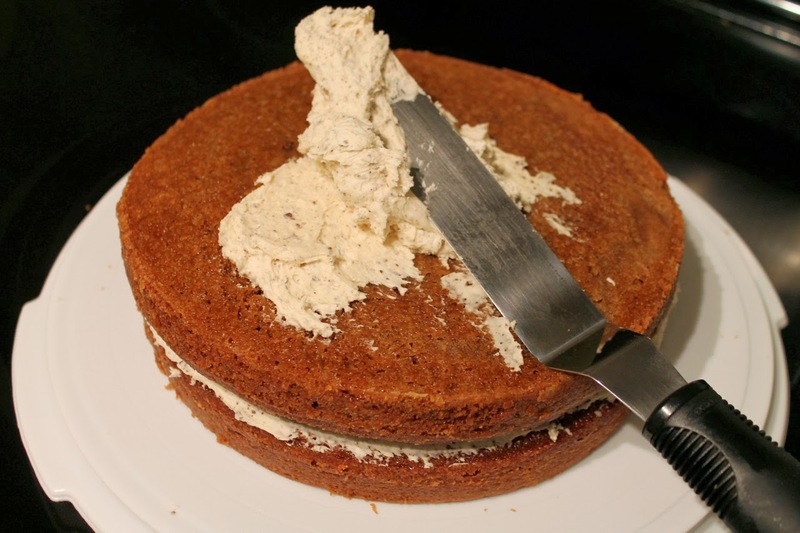 Smooth a layer of frosting over the rounded top of the cake with an offset spatula. 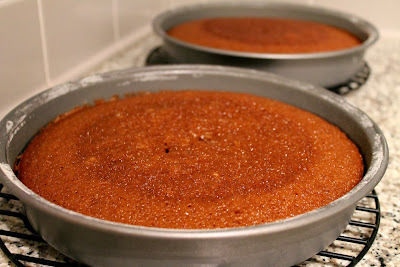 Place the second layer of cake rounded-side down on top of the frosted bottom layer (so the flat side is on top). Frost the top of the cake and then teh sides. 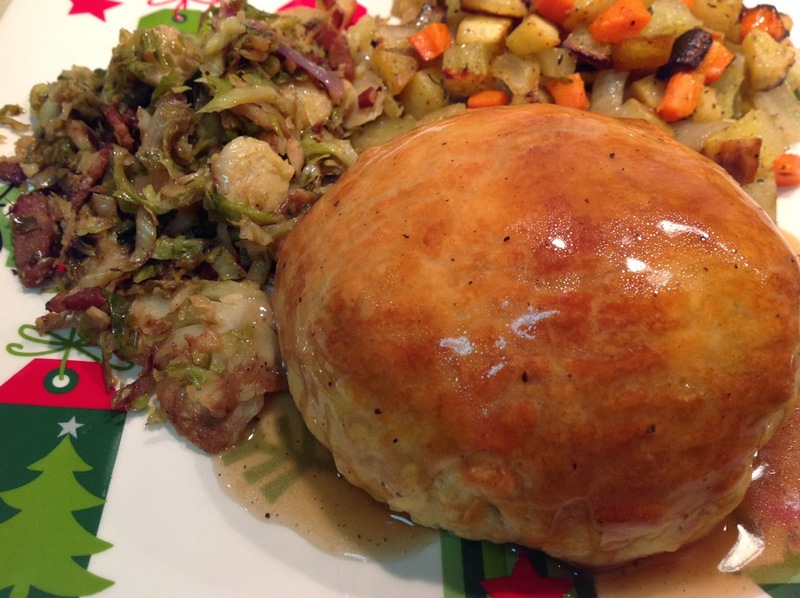 For a long time, Beef Wellington was a dish that I'd heard of but never had and didn't really know what it was. All I knew was that it was something fancy, possibly difficult to make. Years ago, I decided to find out what it was. It's been a Christmas staple ever since. 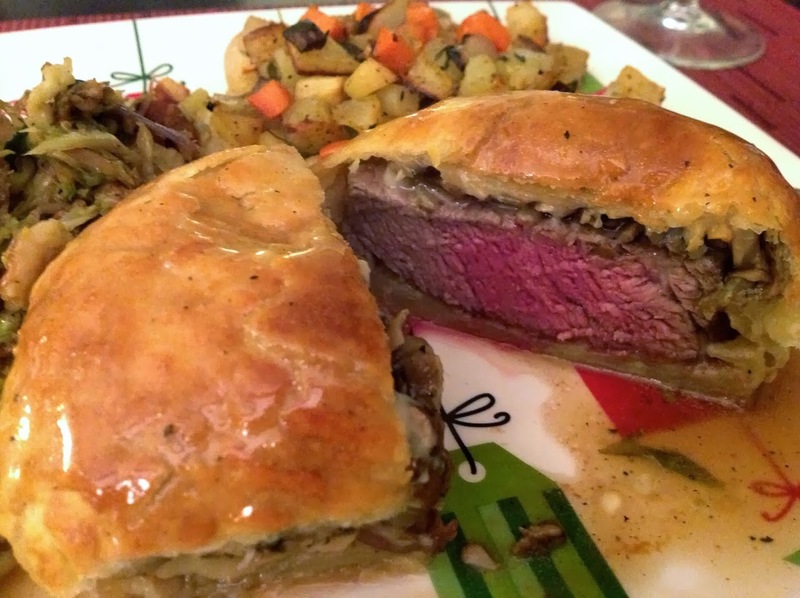 Beef Wellington is a roasted filet mignon with pate, mushrooms and herbs wrapped and baked in puff pastry. It's origins are disputed. Forklore pegs the dish to a 19th Century Duke of Wellington, Arthur Wellesley. However, written evidence of the dish first appears in the United States in the 20th Century, and there's even a claim that it's from New Zealand. 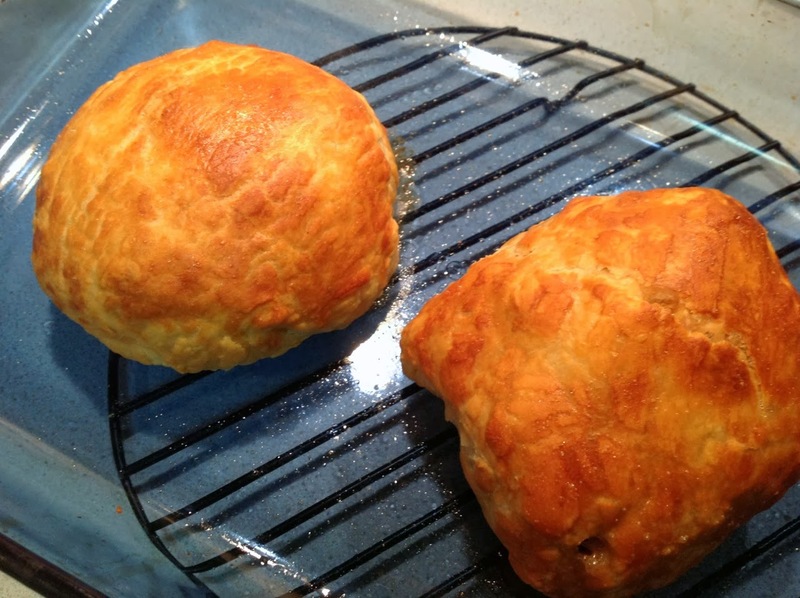 Above: Step-by-step assembly of the Beef Wellingtons. Below: ready to bake. 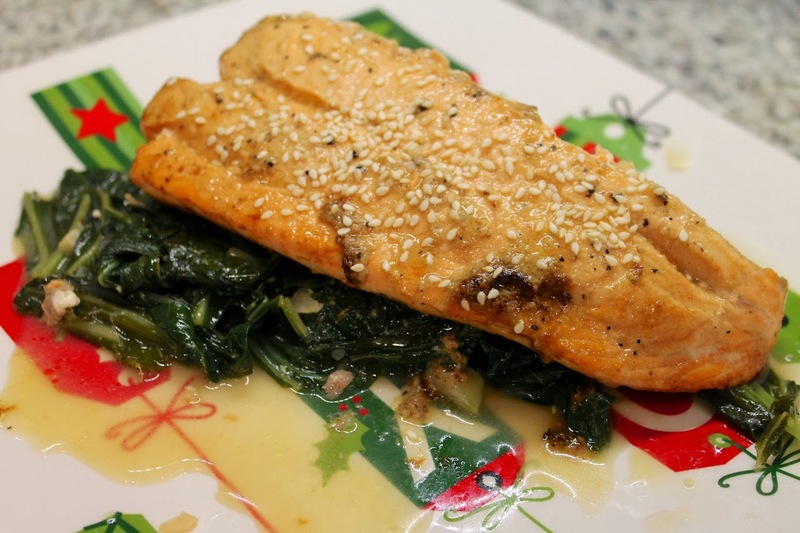 The version I make is adapted from a 1998 recipe that appeared in Gourmet magazine. It substitutes gorgonzola cheese for the pate, which works wonderfully with the mushroom-shallot mixture and the beef. 1. 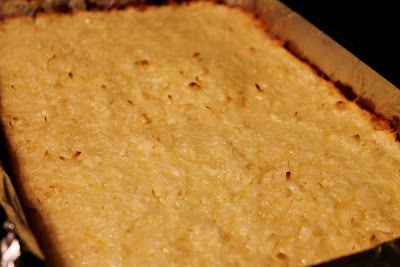 Preheat oven to 425 F. Spray a 9 X 13 baking dish with olive oil. Pat the filets dry with paper towels and season with salt and pepper. Place in the baking dish and roast for about 15 minutes or until an instant-read thermometer reaches 120 to 130 degrees (note: the original recipe says to roast for 12 minutes until a temperature of 110 is reached, but I prefer the meat to be more medium-rare to medium than rare as the recipe calls for). Allow to cool. 2. Meanwhile, heat butter in a medium frying pan over medium heat. 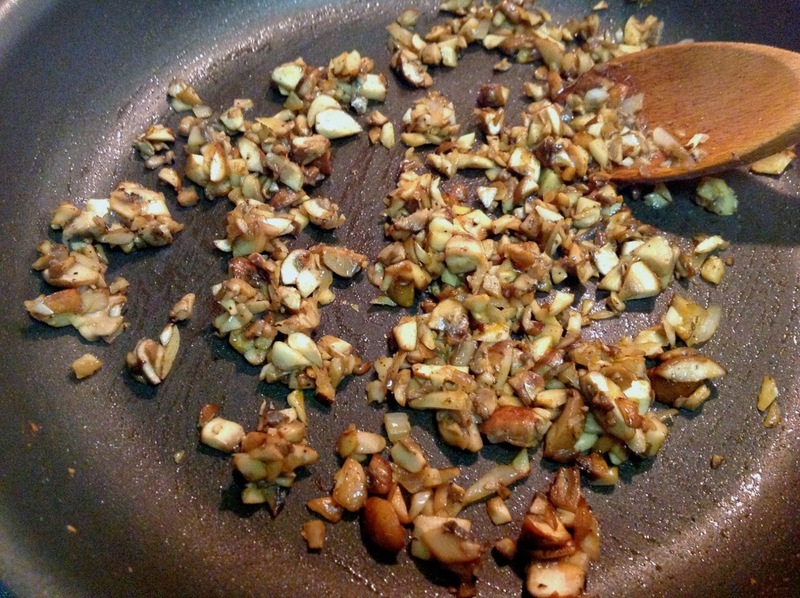 Add mushrooms, shallots, garlic and herbs and sauté until softened and lightly browned, about 8 minutes. Season to taste with salt and pepper. 3. Place puff pastry sheet on a floured work surface. Roll sheet out to make a 14-inch square, then cut into fourths (you'll only need half of the sheet if making two servings). 3. Place 1 tbsp. of the crumbled gorgonzola cheese in the middle of the pastry square. Top with half of the mushroom mixture. Place a partially cooked filet on top of the mushrooms. 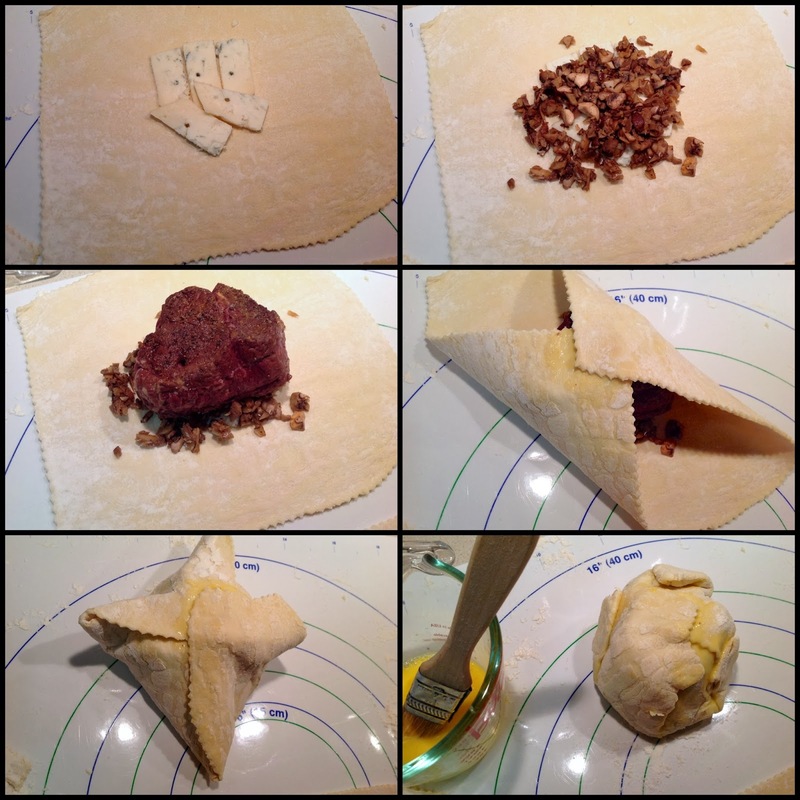 Fold the corners of the pastry together, brushing the point where the corners connect with egg to seal. Brush the seams with egg and press together to seal. 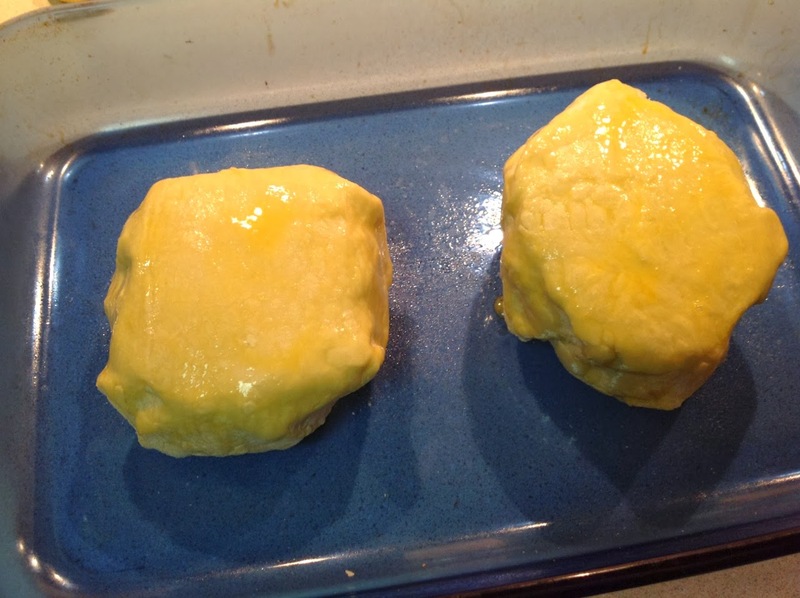 Seal any gaps and press the pastry around the filet to enclose completely. Place prepared pastries in a 9 X 13 baking sheet sprayed with olive oil, brush all over with egg and refrigerate at least 1 hour up to 1 day until ready to bake. 4. 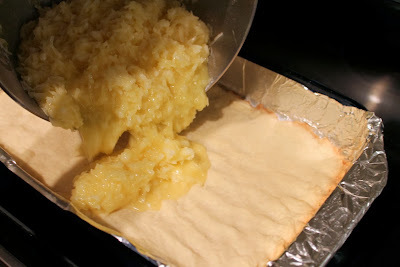 Preheat oven to 425 F. Bake for 20-25 minutes until the pastry is golden. Serve immediately topped with a savory beef madeira sauce (see below). The original recipe calls for a sauce made of 1 cup of beef or veal demiglace and 2 tbsp. madeira boiled for a minute to thicken them. Since I can never seem to find demiglace, instead I boiled 2 cups of beef broth until it was reduced to about 1/2 cup, added 2 tbsp. madeira, boiled for another minute. Reduced heat to medium-low and added 2 tsp. of arrowroot powder dissolved in 1 tbsp. of water to thicken. Season with salt and pepper. 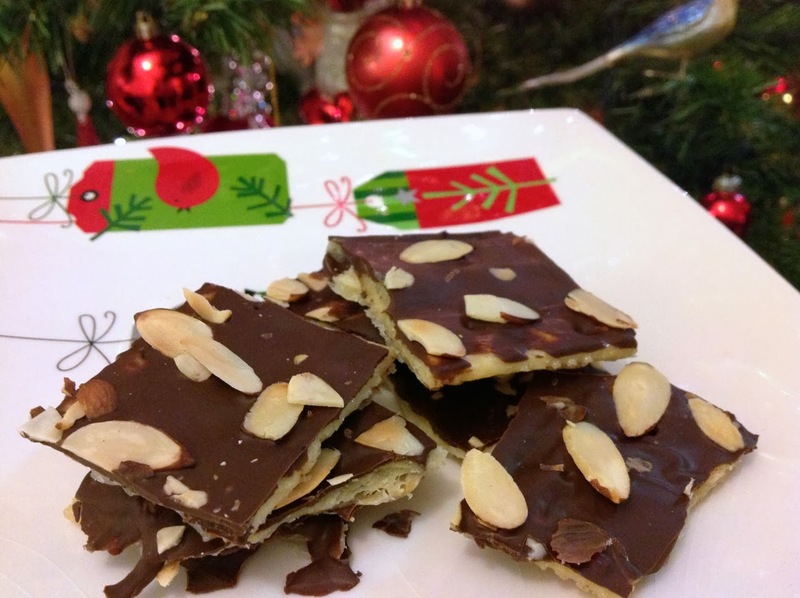 I suppose this Chocolate Bark isn't technically a cookie. It might be considered a candy. 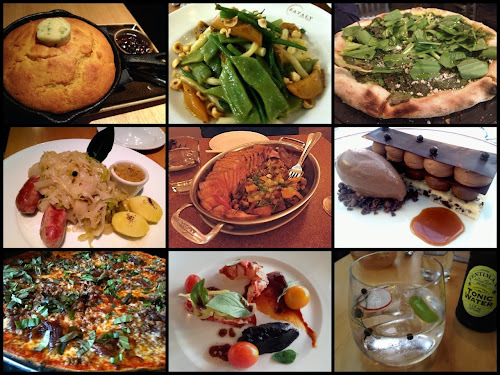 Whatever it's classification there's one thing I know it definitely is: absolutely delicious. 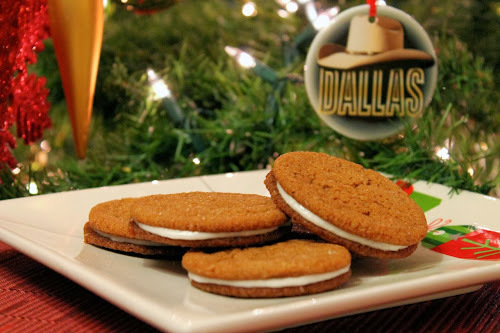 If faced with a plate of these, It would be hard to have just one. They're really tasty. And really simple to make. 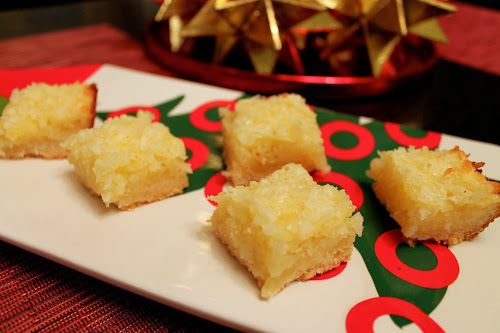 I first learned about this recipe years ago from a coworker who submitted it as her entry in our annual office holiday dessert contest. Since I had slaved over some fancy lattice pie or layer cake, I remember feeling a bit envious that a dessert this simple won the contest. I mean, it's crackers. But golly, if it wasn't good and, in hindsight, completely deserving. 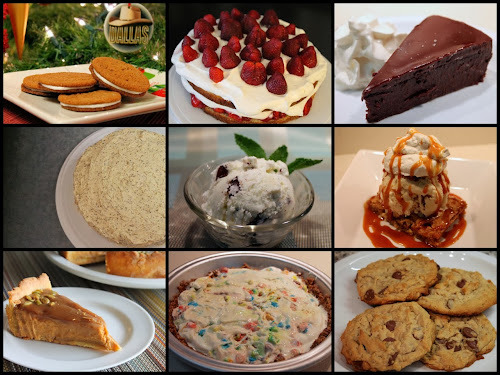 I don't remember what I made for the dessert contest that year, but I remember this recipe, and I've made it around the holidays every year since. 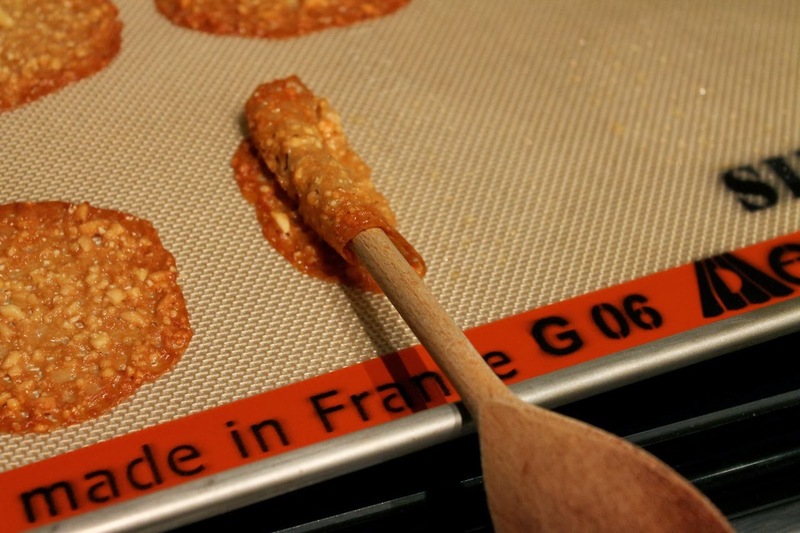 The nut topping on this is optional and flexible. Crushed star mints makes a great topping, as would chopped pistachios. You can also use whatever chocolate you like. I prefer something dark, but milk or white would be good too. 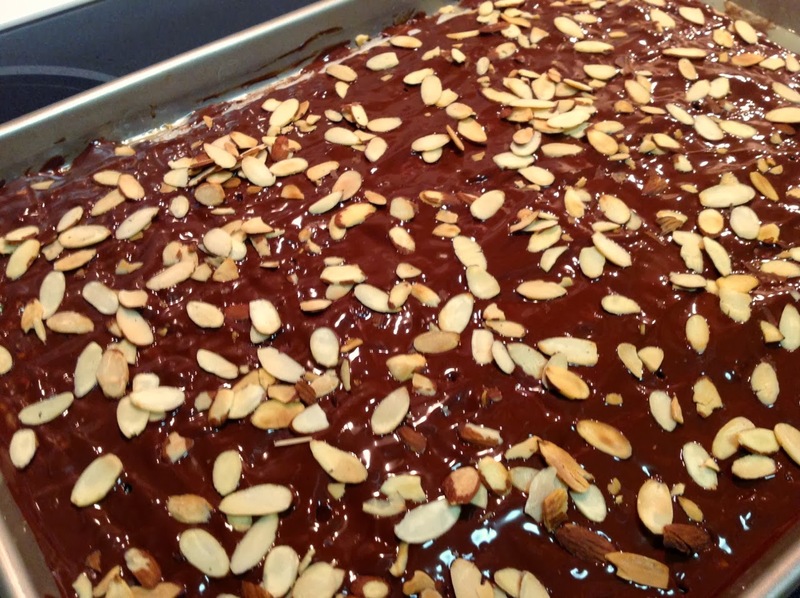 1 cup pan-toasted sliced almonds (see note; may substitute other toppings, such as crushed star mints, chopped pecans or chopped pistachios). 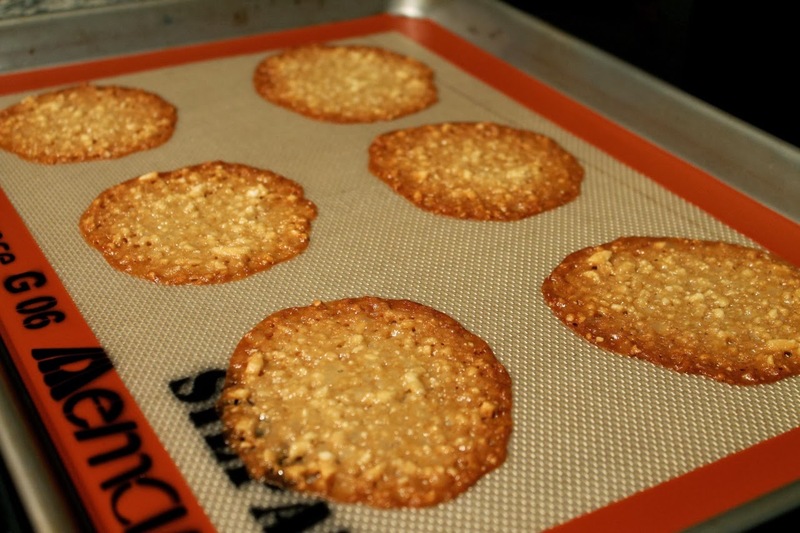 Note: To pan-toast sliced almonds, heat a medium frying pan over medium-low to medium heat. Add nuts and cook, stirring occasionally, until lightly browned, about 4 to 5 minutes. Set aside. 2. Line a baking sheet with aluminum foil. Arrange the crackers on the foil in a single layer with no space between the crackers. 3. Heat butter and sugar in a medium saucepan over medium-high heat and bring mixture to a boil for 1 minute. 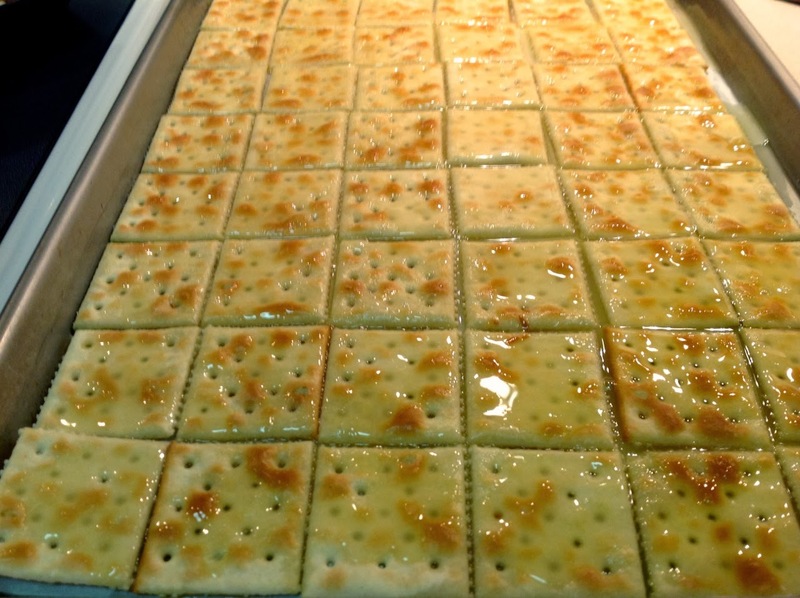 Remove from heat and pour the hot butter-sugar mixture evenly over the crackers (do this carefully--if you pour it too fast, the crackers tend to shift on the baking sheet). 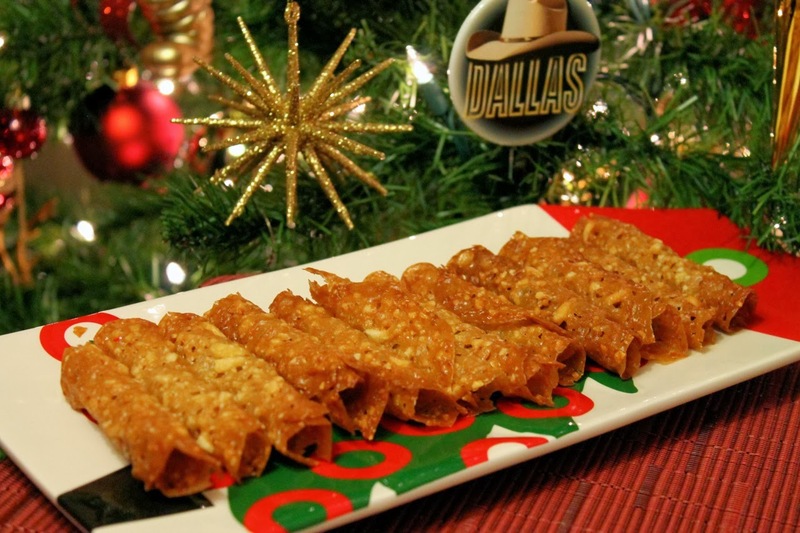 Use a spatula to spread the mixture over the crackers so that they are all coated. Bake in the hot oven for 10 minutes. 4. 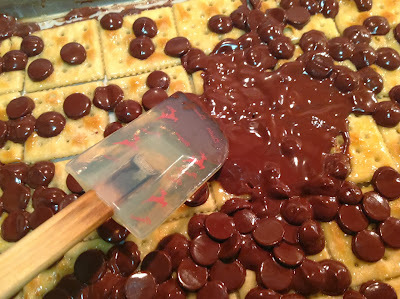 Remove baking sheet from oven and immediately pour the chocolate chips over the crackers. Return to the oven for about a minute to melt the chips, then remove from the oven. Use a spatula to spread the melted chocolate in an even layer over the crackers. 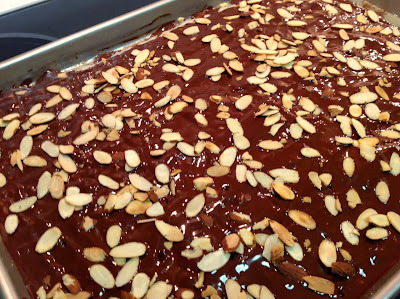 Sprinkle the top of the chocolate with the sliced almonds or other topping. Allow to cool, then put in the refrigerator until cold. Once chilled, break the bark into pieces (I usually try to break along the cracker edges, but some jagged shapes are fun too). Store in the refrigerator.